JAKARTA (Reuters) - A coalition of political parties backing Indonesian President Joko Widodo is on course to win more than half of the votes in next month's elections, giving them control of parliament, according to a new survey released on Thursday. 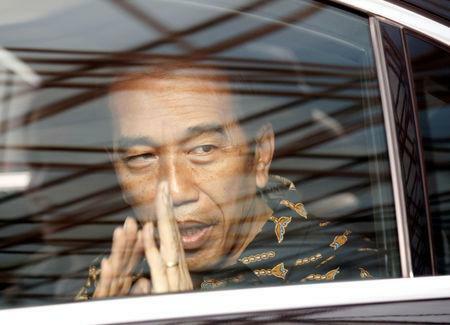 Widodo formed a minority government when elected in 2014, but Golkar, the country's second-biggest political party, jumped ship in early 2016 to support the president. The Democratic Party of Struggle, of which Widodo is a member, is likely to remain by far the largest party, but Prabowo's Greater Indonesia Movement is on course to grab second position from Golkar, the Kompas survey results showed.